Acrylic, silicone and latex caulks have been popular in use since they are easy to work with. However, they pose significant performance problems. In dry settings, they eventually dry up, peel and crack. In wet settings, when they are exposed to ongoing moisture, they tend to re-emulsify, soften, peel, wash out of the joints, while turning black in color from mold and mildew. 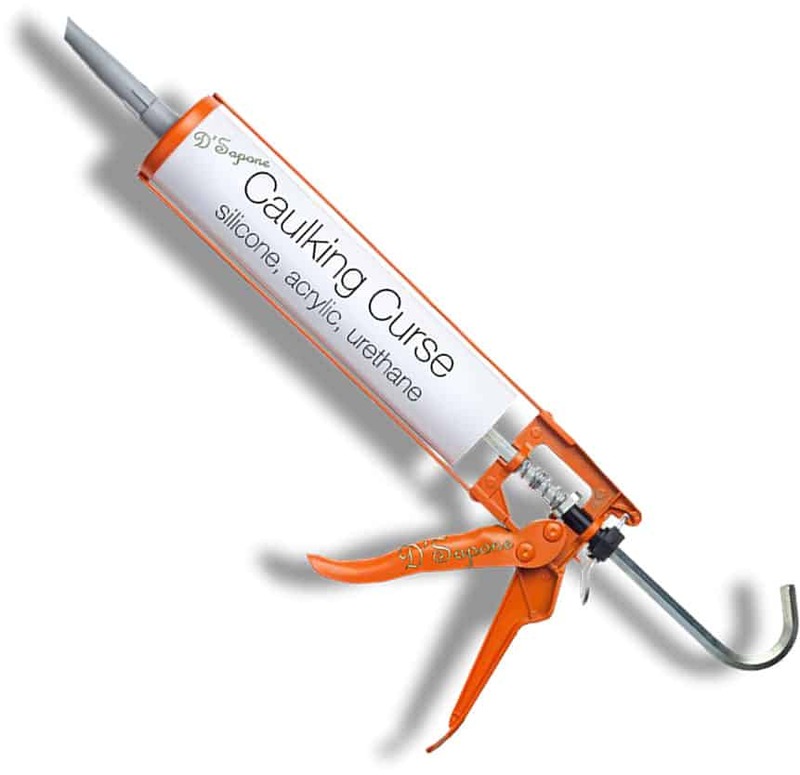 Caulk is not chemical resistance and when certain cleaners are used, the caulk will react and lose its bond, which in term allows moisture to compromise the sealant, creating mold! Stained, bulky caulk ruins any shower. Our artists started by redesigning the way their finished product looked with the thinnest most durable lines possible. Restoration to the fullest is just second nature. We do not use caulk for any application, no matter how small the job is – we do not sacrifice quality, we only use Sentura. Our artists make it thin. 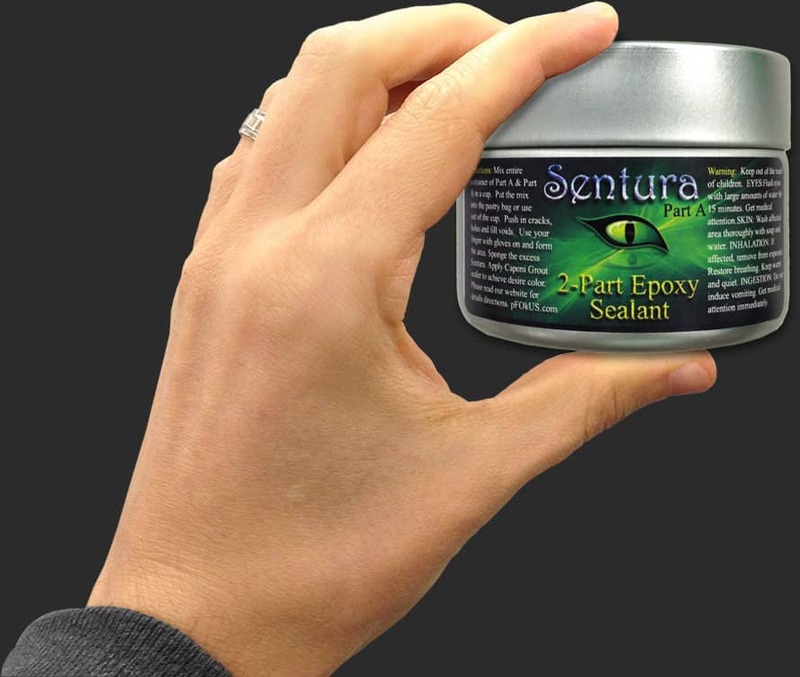 Sentura is a caulk substitute that will never peel, shrink, dry out, soften or stain. Fusing Sentura in all the corners – not only does this make the appearance thinner, it makes it better. The first thing you’ll notice is how incredibly strong and durable the Sentura is. It is a 2-part solvent resin/epoxy filler with sand that looks like grout or we can make it smooth to resemble caulk. We even color match the Sentura with Caponi® to blend in with your tile or grout – creating an astonishing look. Re-caulking is a temporary fix not a cure. 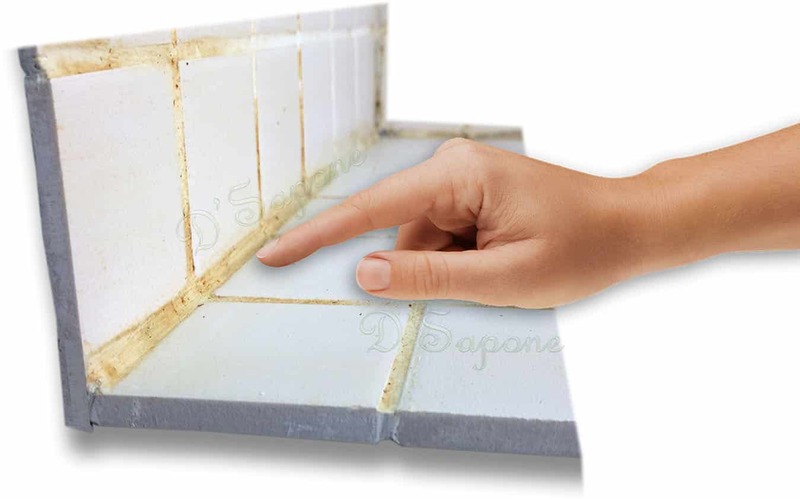 Mold and mildew can be controlled by waterproofing the corners with Sentura and sealing the grout with Caponi®. 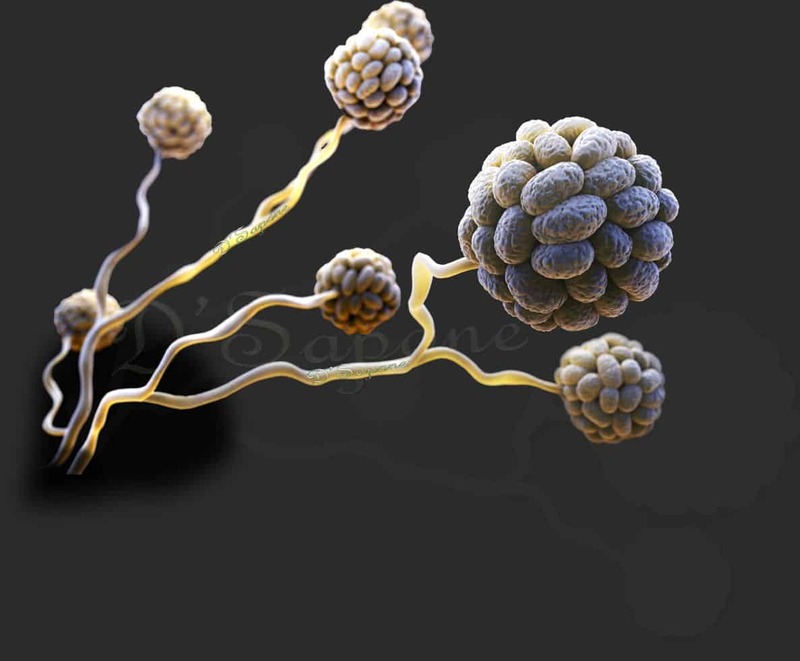 Our ‘Healthy Shower’ system will prevent mold and mildew from growing. Steam machines only kill mold on the surface. We use chemicals, which penetrates deep into the cracks and corners to kill mold. We will color match the Sentura to the grout or tile color. 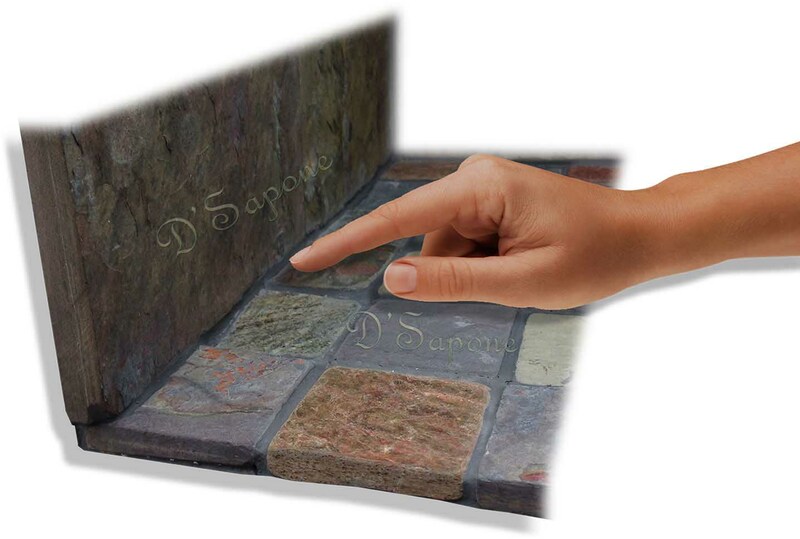 So, you can now enjoy the beauty of your tile. Now there is an entirely new way to receive an estimate. Every estimate is assigned to an artist, who will complete the entire process. Just simply email us pictures and our server will calculate the rest. We already know the solutions to your problems. What is the difference between re-caulking and Sentura? Sentura is stronger, will not peel and it is chemical resistant. Why does D'Sapone® not re-caulk? We used silicone caulk, acrylic caulk and urethane caulk over 12 years ago. The issue was – we received call backs within 6 months. The large caulk manufacturers warranty for a lifetime, but all we received was, another tube of caulk. Why does the caulk in my shower mold so fast? Shower is the most extreme environment in a home with all the moisture and humidity. Caulk based products are not formulated for that environment. Sentura is designed and intended for these harsh environments. Sentura looks same as caulk and grout. A contractor said, “he is not using caulk, it’s silicone,” is this true? environment. Silicone will peel when it’s scrubbed. Can Sentura be scrubbed after it has dried? Yes, we offer a 5 labor year warranty.